Gaining control over business-critical data about customers, products and accounts that is often locked within silos across the business. As leading experts in data warehousing and master data management, the members of metacore are pioneers of data-driven solutions. We use meta data to drive business rules that makes it easy for our clients to manage their data and build systems that elegantly combine simplicity and functionality. Unlock information as a strategic asset, which can be leveraged to transform corporations. Leverage diverse corporate sources of information into a common framework in order to make better decisions. 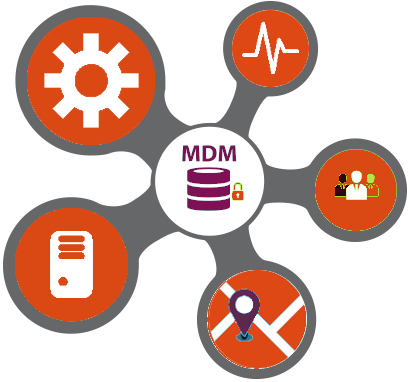 Empower enterprises and their users with the ability to cleanse, govern and manage the quality and lifecycle of master data. Implementing comprehensive platforms that deliver consolidated, consistent and authoritative master data across the enterprise and distributes this master information to all operational and analytical applications.